Anel Tolkachova (Kyiv, Ukraine; Lynn, USA) belongs to the Kyiv family of artists. Her father, Zinoviy ​​Tolkachov (1903 – 1977), studied at the Free Art Workshops in Moscow from 1919 to 1920, and from 1927 to 1930 at the Kyiv Art Institute – that is, he was in the center of the most important artistic events of the twentieth century. He personally knew P. Konchalovsky, O. Osmerkin, F. Krichevsky, M. Boychuk, and was friends with Mykola Rokitsky. 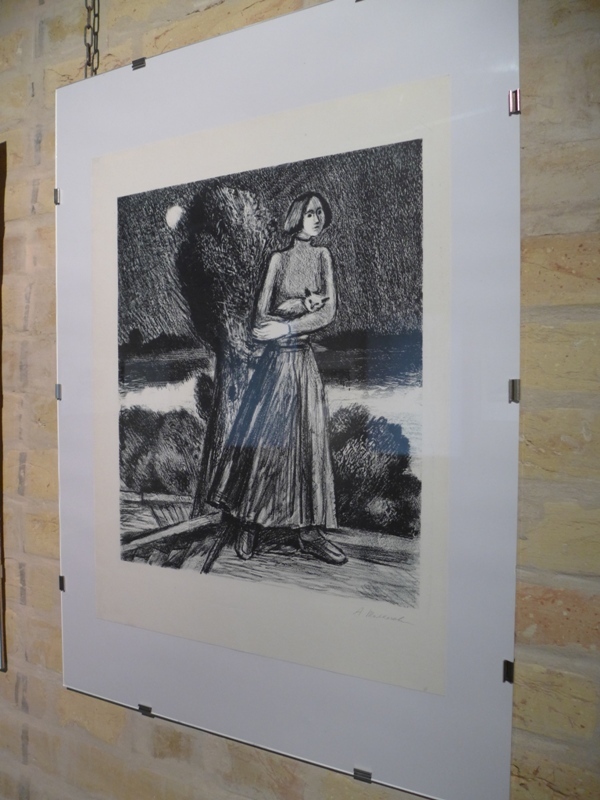 During the II World War he became one of the most outstanding graphic artists of Ukraine. 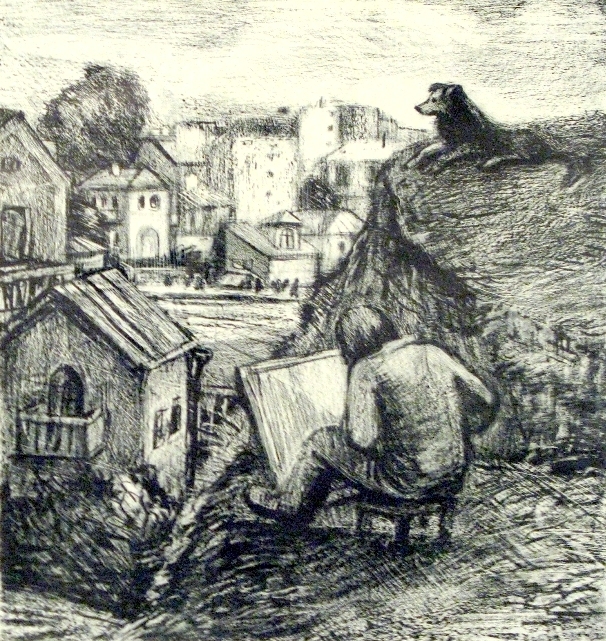 Anel’s brother, Ilya Tolkachov (1944 – 2007) is a famous painter, graphic and monumental artist. He studied at the Republican Art School (now the State Art Secondary School), then he was graduated from the Kyiv State Art Institute (now the Ukrainian Academy of Arts) in 1971. His teachers were such outstanding Ukrainian artists as V. Kostetsky, I. Shtylman and T. Yablonska. His monumental works can be seen at the Academy of Agriculture, at the Institute of Cybernetics, at the Museum of Medicine, at the Museum of Pedagogy. The Tolkachovs lived in Kiev and their apartment was hospitably opened for numerous artists, writers, composers and musicians. Anel Tolkachova heard famous names yet in her childhood and knew many classics of Ukrainian art personally, which couldn’t help affecting her creative personality. Even her early study works at the Art School and the Institute demonstrated an extraordinary artistic culture, skills and creative expression. After graduating from the Kyiv State Art Institute she worked on the cycles of illustrations to literature, as well as took part in exhibitions. 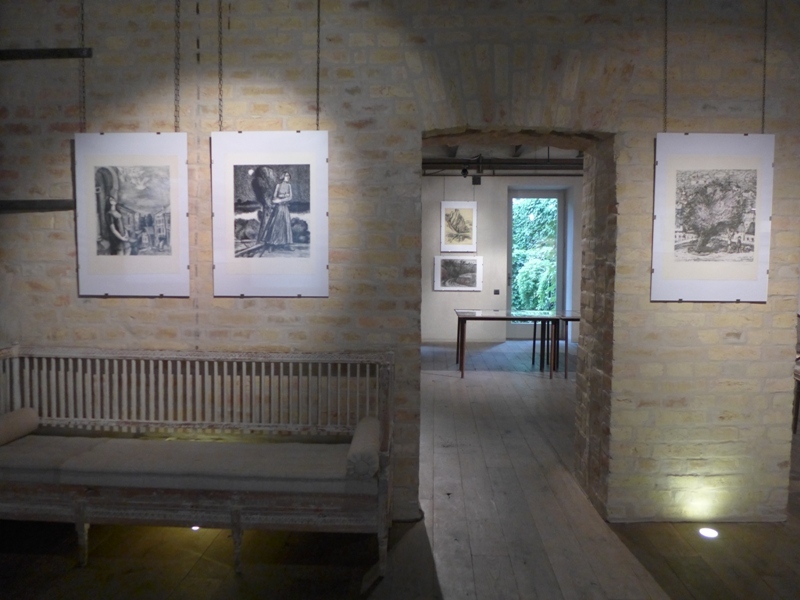 Her works are created in techniques of etching, lithography, drawing on paper and painting on canvas. 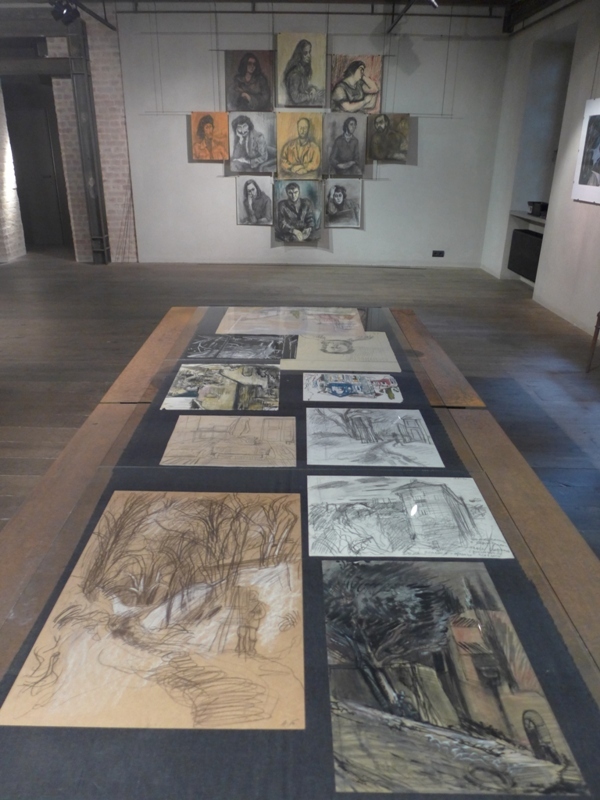 The exhibition at ART 14 Gallery represents only a small part of her works. “Work, travel, live and work again” is a slogan posted by Anel Tolkachova on her Facebook page (Anel Shield). The word “work” here stands above not only “travel”, but even “live”! I am sure that such words belong only the artist whose life is totally devoted to creativity and continues daily life. Indeed, Anel Tolkachova’s landscapes are always emotionally filled by the author. They illustrate her thoughts and mood. These are images of the outside world, which, thanks to the author’s manner of execution, have become the symbols of their internal state, in fact, some kind of “internal self portraits.” Looking at the “Portraits of acquaintances”, mainly artists, we can see not only their appearance, but the author’s conversation with them. 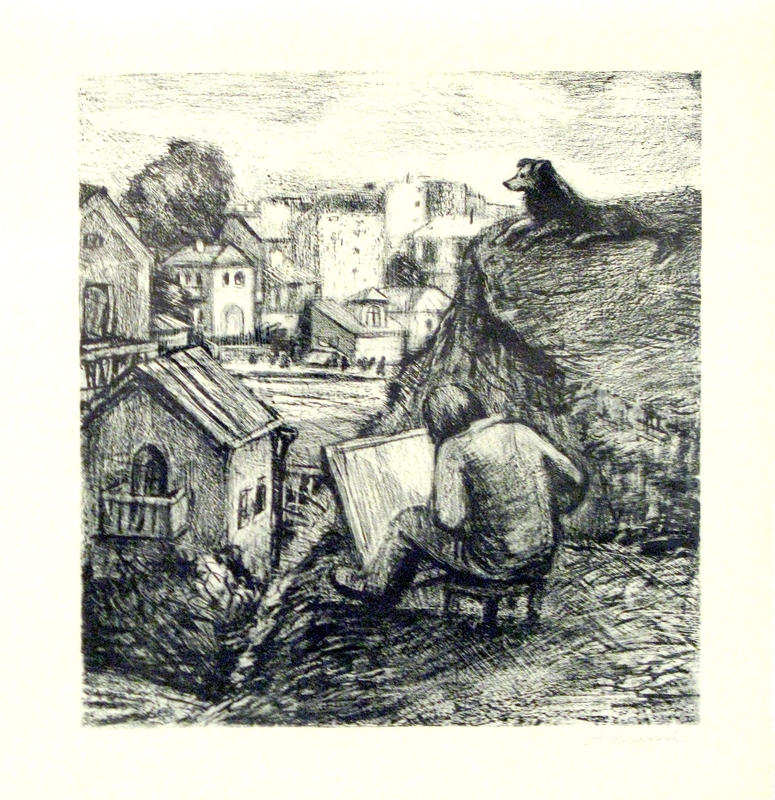 The cycle of lithographs, which can be called “Compositions from artists’ life”, represents the author’s outlook – optimistic, expressive and romantic as well as expresses the special atmosphere that existed among many artists-nonconformists from the 1970s-1980s, somewhat as closed environment, subculture, whose members lived with ideals of creativity and art, constant work on the embodiment of ideals, where everyday life was mixed with the world of ideals. 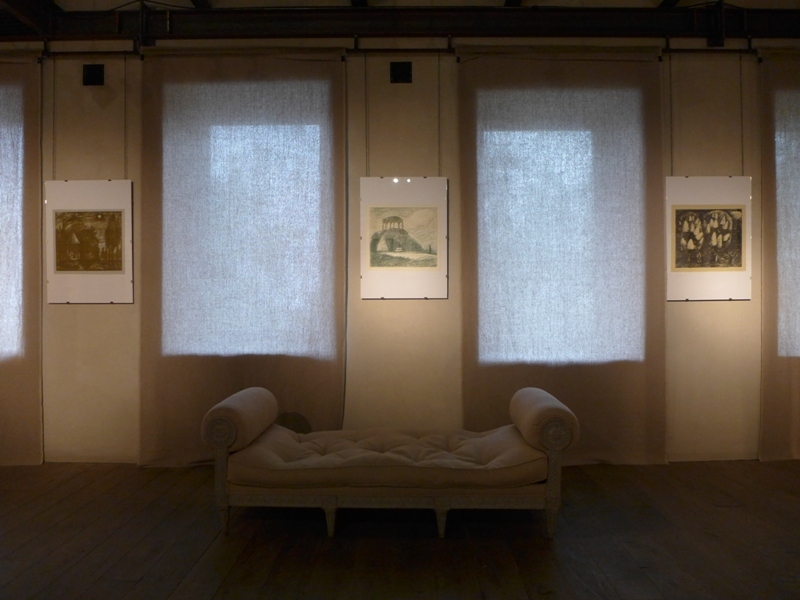 Anel Tolkachova’s works are an excellent opportunity for the visitors to touch the atmosphere of Ukrainian artistic culture living tradition that has not been interrupted since the 1920s despite the terrible cataclysms of the twentieth century, a tradition that extends its creative development in dialogue with modern times.